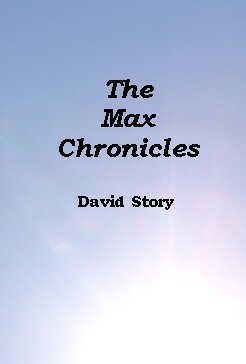 Max stood across the street, observing the "others" like him who had gathered. Some were on the same side of the street that he was. Some were even on the church grounds. They all watched the man walked up the steps, and entered the sanctuary doors. Trying her best to "do" her face, the young girl continually stepped between her mom and the vanity in the church restroom. Although they were the only ones there at the time, and there were two mirrors, little Amy would only be satisfied if she used the one her mother was using. In the background an organ began to play. "The service is about to start, Honey." Amy smiled as she pretended to fix her hair. "I'm almost done." She stopped for a moment and listened, her head cocked slightly to one side. "What's that song, Mommy?" Jennifer listened for a moment to the melody coming from the large organ pipes in the church sanctuary. "Oh, I love that one," she said, and smiled as she thought of the old hymns and the joy they brought her. She waited for the chorus, then began to sing, "Jesus, Jesus, how I trust him! How I've proved him o'er and o'er! Jesus, Jesus, precious Jesus! O for grace to trust him more!" The little girl smiled. "You sing pretty, Mommy." A picture perfect moment, in a picture perfect church, but unfortunately, in a not so picture perfect world.